Issued every year the Forbes 'Dead celebrity' list is an excellent guide to who's hot in the world of collectibles. #10 The Man in Black, Johnny Cash, who died in 2003 has ratcheted up $8m to reach the 10th spot on the list. His album sales have shifted up from a more than respectable 2.8m in 2005 to 3.6m this year. Cash's deep-voiced classics such as I Walk the Line and Ring of Fire still resonate, but the rise is due to two reasons. Firstly his biopic was released on DVD in February of this year and secondly two more albums have been scraped together: Cash's final recording sessions under the title Lost Highway's American V: A Hundred Highways and Personal File, unreleased material which Sony has pieced together. 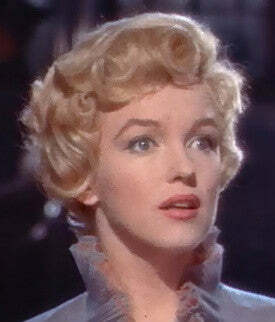 #9 Likewise earning $8m, Marilyn Monroe died due to an apparently suicidal overdose in 1962, aged just 36. She remains an instantly recognisable iconic image and Marilyn memorabilia is in demand with her bathrobe selling for $120,000 earlier this year. Absolut and Dom Perignon have used Marilyn for advertising campaigns this year, as have General Motors, and there is a perfume line associated with her. Here at Paul Fraser Collectibles we currently have three items associated with Marilyn available: a signed cheque, a signed magazine cover and even a piece of her lingerie. #8 Ray 'Brother Ray' Charles died in 2004, immediately before the film Ray was brought out, in which Jamie Foxx brings him back to life in an Oscar winning performance. Ongoing royalties from DVD sales of the film drive his earnings, and his album sales remain steady too. Blues genius Charles is a big earner partly because he's recognisable to different generations. His appearance in The Blues Brothers movie was already a reminder for a new generation of just how great he was. In 2008 Rolling Stone magazine voted him number two on their 100 greatest singers of all time list behind Aretha Franklin. #7 Theodor 'Dr Seuss' Geisel has also earned $10m. The children's book author, who wrote about The Cat in the Hat and the Grinch, amongst others, is universally known. In America, in particular, his first edition works are coveted, with celebrity fans, such as Sarah Michelle Gellar, keen purchasers. Fresh copies of his books still fly off the shelves, but it's currently being boosted heavily by the publicity surrounding opening of a musical version of The Grinch on Broadway. The cast will put on an exhausting 12 shows a week. #6 The work of pop Artist Andy Warhol continues to fascinate, with his portrait of Michael Jackson selling for over $1m recently and a major exhibition of his later work this autumn. His estate has recently signed a deal with Barney's New York where everything will be decorated on the theme 'Happy Warholidays'. A new line of clothing with Levi Strauss isn't hurting either. #5 Albert Einstein, the only scientist likely to be on the list, has earned $20m. Einstein remains the classic image of intelligence, high-mindedness and also pacifism worldwide. Few people will know that the rights to his name belong to Jerusalem's Hebrew University. One of Disney's major product lines is Baby Einstein. The image licensing shop Corbis says that Einstein's image is consistently the most requested, and businesses are prepared to pay a lot for the privilege. He has also be represented many times in film, notably in IQ. #4 $24m. Murdered in 1980, John Lennon continues to receive royalties from Beatles albums, some of which were re-released recently. The Beatles are famous all round the world, and their memorabilia is much in demand. However, even more money may be coming soon. A judge has cleared the way for the Fab Four (or their estates) to sue EMI for unpaid royalties. Yoko Ono is likewise suing for Lennon's solo recordings. #3 Charles M Schulz, creator of Snoopy, Charlie Brown and the rest of the Peanuts gang who died in 2000, has his characters appearing in newspapers all round the world every day. Most of the money comes from merchandise rather than the actual newspapers, (though one fuels the other). You can get almost anything with a Peanuts theme, including blankets in the style of Linus's security blanket. Even in the 1960s, the two main characters were mascots of the Apollo 10 lunar mission, with the command module and lunar module named after them. Schulz has earned $35m. #2 $42m takes Elvis Presley to the 2nd spot on our list, though it's actually slightly less than last year. His albums continue to sell in boxed sets and re-releases, and his memorabilia, such as this signed photo is greatly coveted in many countries. His earnings are expected to pick up sharply if and when an attraction themed on The King is set up in Las Vegas. #1 Kurt Cobain's music may be about to be used for various marketing purposes, possibly not all of which he would approve of. Courtney Love has recently sold rights to many of Cobain's songs to a music publishing company named Primary Wave. Cobain's music is currently popping up in CSI: Miami, but may soon be used to promote just about anything. Cobain currently tops the list with a staggering $50m.